Key Largo Fishing Charters from Tides Right will put you in the scenic upper keys for some of the best fishing experiences on the planet. Beautiful flats and backcountry areas teeming with world class gamefish. Spanning the areas from North Key Largo near Ocean Reef to the Southern tip of Elliott key, the Fishing Charters in Key Largo offered by Captain Alonzo Sotillo will not only offer you world class fishing, but a world class view of the Florida flats. Just a few minutes north of the Key Largo mainland, the waters off Ocean Reef and inside Card Sound offer a fishing diversity like no other. On the ocean side Bonefish and Permit will be on the agenda, while the grass flats can offer anything from Sea Trout to Snook. This is truly an amazing fishing opportunity. Key Largo Fishing Charters services can include either spinning or fly fishing tackle onboard our skinny water craft, the Hell’s Bay Pro. There is simply no better way to enjoy a day on the water in Key Largo. Any species can be targeted and the trip will be catered to provide you with the best fishery to achieve that goal. But if the scenery and experience are more your style, Tides Right can create an atmosphere just for you in the Miami flats or Flamingo fishery in Everglades National Park. 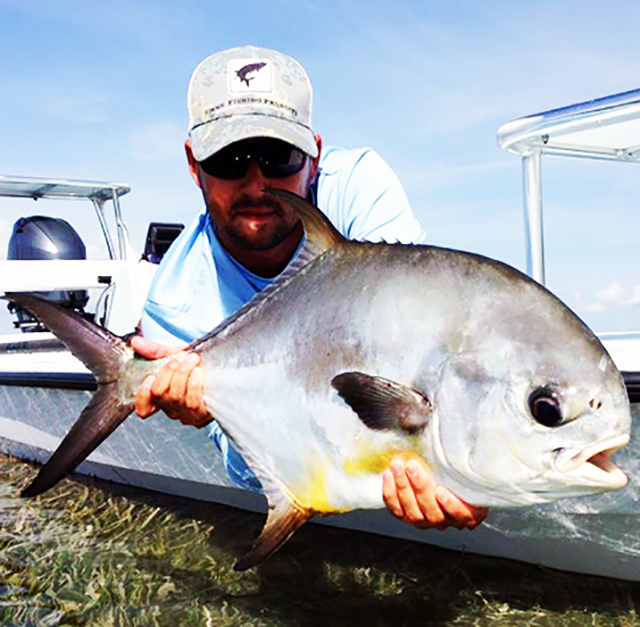 Permit are a spectacular fish to sight cast in Key Largo and the waters of Biscayne Bay. Flamingo Fishing Guides offer some of the most surreal fishing experiences on the planet. 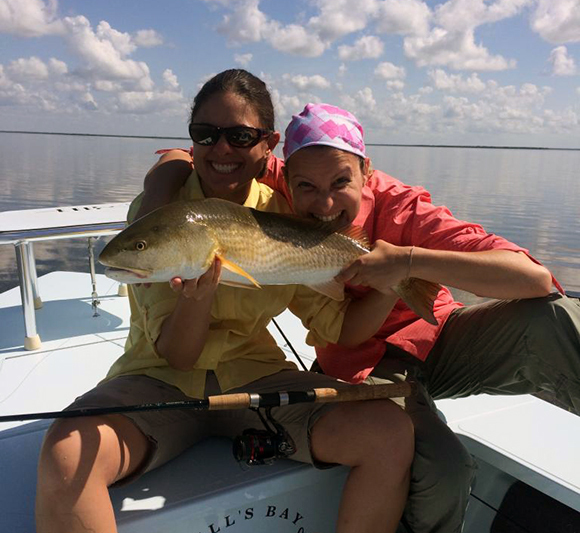 Tides Right Fishing Charters has dedicated the time in this fishery to offer some of the most exceptional fishing offered in Everglades National Park. This is the real Florida experience. As a Miami native, Captain Alonzo Sotillo has evolved into one of the best inshore fishing guides in the city. Spending his whole life fine tuning this skill, he now offers some of the best fishing charters in Miami you can book. Tides Right also offers Fly Fishing Charters in Miami. Sight casting with a fly rod in the Miami flats is probably one of the most exciting ways to fish. 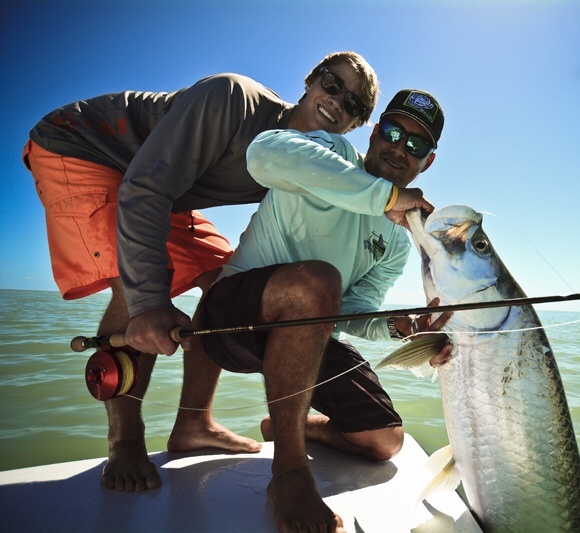 From tailing Redfish and Bonefish to monster Tarpon like the one pictured above – We have your Miami fly fishing charters covered. Tides Right Miami based charter service by Captain Alonzo Sotillo covers the best inshore fishing grounds in South Florida. Contact Captain Alonzo today to book your fishing trip of a life time! The Hell's Bay Professional is considered the ultimate in versatility for fishing a wide variety of conditions. This Miami Fishing Charters skiff is the perfect blend of shallow water draft, dry comfortable ride, and stability. The length to width ratio of the Professional, allows for easy poling, responsive turning, and has the ability to handle a variety of water conditions. Whether on light tackle or fly rod, Captain Alonzo Sotillo has the South Florida fisheries most popular species locked down. 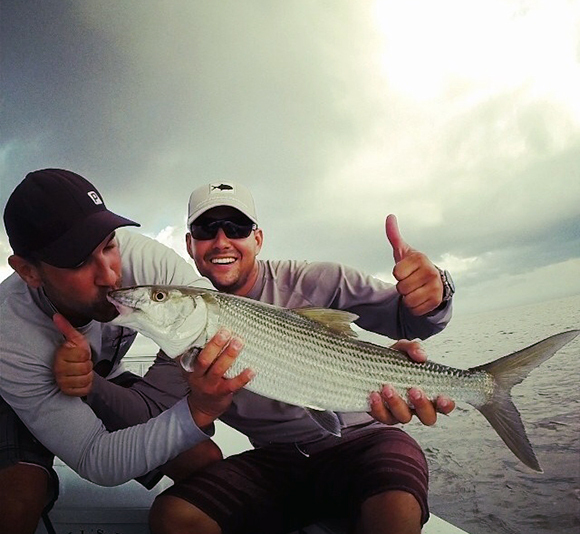 Looking for a Bonefish, Tarpon, or Inshore Slam? Tides Right has your Miami Fishing Charters covered. Copyright © Tides Right Fishing Charters 2015 - Built with care by The Tarpon Creek Agency.